Silvio Berlusconi has sparked outrage in Germany by saying “for the Germans, concentration camps never existed”. The former Italian prime minister was referring to a previous gaffe in which he told a German member of European Parliament that he could play a Nazi concentration camp guard in a film. His latest comments were at a rally in Milan ahead of the European elections. German Families Minister Manuela Schwesig said Silvio Berlusconi’s “attacks” against Germans were “unspeakable”. Silvio Berlusconi was referring to a 2003 incident involving Martin Schulz, who is now president of the European parliament. The president of Martin Schulz’s Socialists and Democrats (S&D) bloc, Hannes Swoboda, called Silvio Berlusconi’s latest comments “sickening”. This is the latest in a long line of Silvio Berlusconi comments to have sparked criticism. 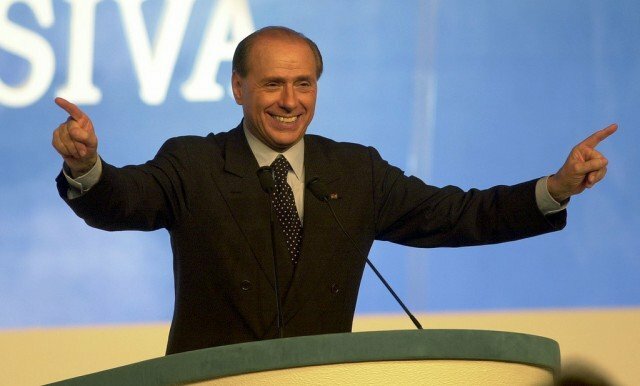 Silvio Berlusconi is one of Italy’s richest men and served as prime minister for nine months from May 1994 and then again for two terms from 2001 to 2006 and from 2008 to 2011. He faced frequent allegations of conflicts of interest but it was Italy’s debt crisis that forced his resignation in 2011. Silvio Berlusconi is embroiled in several legal cases and in 2012 was convicted of tax fraud, leading to his expulsion from the Italian Senate. His sentence for that conviction was to carry out community service in an old people’s home.